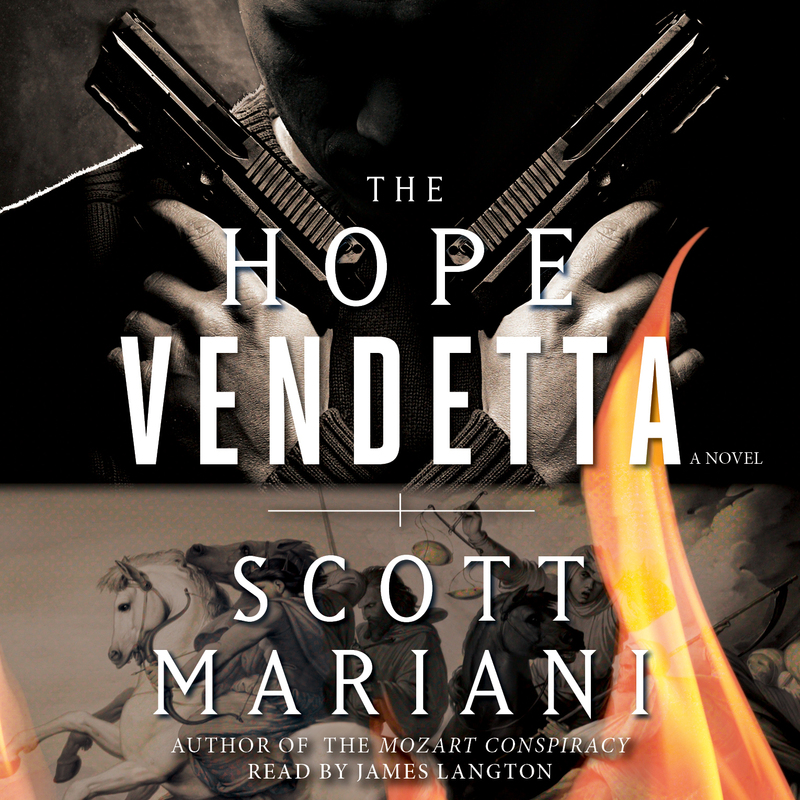 From the author of The Mozart Conspiracy, Scott Mariani’s newest international thriller raises the stakes as Ben Hope returns to prevent an attack of biblical proportions. Still reeling from a devastating personal loss, ex-SAS operative and hero-for-hire Ben Hope has decided to put down his gun for good and return to the theology studies he had abandoned years ago. When his professor and friend asks him to help find his missing daughter, archeologist Zoë Bradbury, Ben declines, but puts his former SAS buddy, Charlie Palmer, on the case. But when Charlie runs into trouble on the Greek island of Corfu, Ben reluctantly joins him to find out what might have happened to Zoë. Ben has no idea he’s just embarked on the most dangerous mission of his life. As Ben investigates on Corfu, he realizes that Zoë’s most recent archeological discovery of an artifact related to the Book of Revelation is at the heart of her disappearance. What is the ancient secret that Zoë uncovered? And just who is willing to do anything to protect it? The investigation leads Ben from the Greek islands to Savannah, Georgia, and the holy city of Jerusalem, and he soon discovers that it’s not just Zoë’s life on the line, but those of millions. Listeners will be on the edge of their seats as Ben Hope battles to prevent a deadly end-of-days attack, staged by those hell bent on gaining political power at any cost. Scott Mariani grew up in St. Andrews, Scotland. He studied Modern Languages at Oxford and went on to work as a translator, a professional musician, a pistol shooting instructor, and a freelance journalist before becoming a full-time writer. After spending several years in Italy and France, Scott discovered his secluded writer’s haven in the wilds of west Wales, an 1830s country house complete with rambling woodland and a secret passage. When he isn’t writing, Scott enjoys jazz, movies, classic motorcycles, and astronomy. James Langton trained as an actor at the Royal Scottish Academy of Music and Drama and later as a musician at the Guildhall School in London. He has worked in radio, film and television, also appearing in theater in England and on Broadway. James was born in York, England and now lives in New York City.